Catalogue published on the occasion of the exhibition at Highlanes Gallery Drogheda, Ireland 2011. Catalogue with works from the last two years. Texts by Aoife Ruane, Leni Hoffmann and Gereon Krebber. 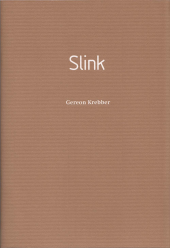 Published by Highlanes Gallery, Drogheda, Ireland and Kerber Verlag. Sponsored by Arts Council Irealnd, Goethe-Institut Dublin, Kevin Mc-Allister, Wilhelm-Lehmbruck-Award | Stipendium Duisburg. Texts by Stephan Mann, Uwe Schramm und Susanne Wedewer. Editor: Museum Goch in cooperation with the participating museums. 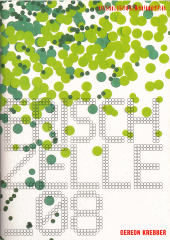 Catalogue for the exhibition "Frischzelle_08: Gereon Krebber" at Kunstmuseum Stuttgart. Catalogue to the exhibition "Slink" at Fuhrwerkswaage Köln. Mit einem Essay von Julia Höner. 'Blobster' - 'Blorp' - 'Wolke zwei' - and others at Gelsenkirchen, DE. Including a text by Peter Lodermeyer on Gereon Krebber. 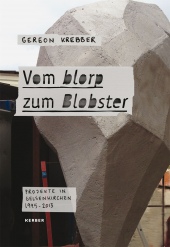 This catalogue was published on the occasion of the exhibition Gereon Krebber. All that is solid melts into air, Kunsthalle Wilhelmshaven, 2/18 - 4/15/2007. Published by Viola Weigel. With texts by Daniel Spanke, Sacha Craddock und Viola Weigel. ordered by scale - from 7.5 meters down to 10 centimetres.